Some cats are prone to allergies and for these felines; you want nothing but the best hypoallergenic cat food. If you have allergies, there’s no reason your cat would relish the thought of having diarrhea or puking its guts out. For this reason, you need to make better choices when it comes to cat food. Here are the basic criteria for choosing food for allergy-prone felines. Grains are among the top allergens for cats. Yes, there are cats that can eat food with grains without any problem but that doesn’t go for the entire cat population. If your cat is miserable due to its cat food, choose one which doesn’t contain any grain. 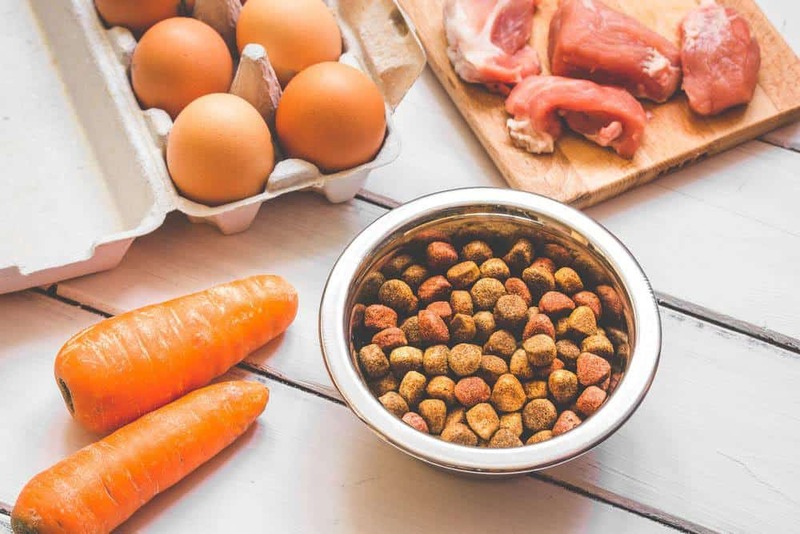 Grain-free products are not too difficult to find since pet food manufacturers know there is a demand and they are more than willing to fill it. Cats on a special diet because of their discerning stomachs need a different type of food but it doesn’t mean they need less protein. Protein content is a must for cats. 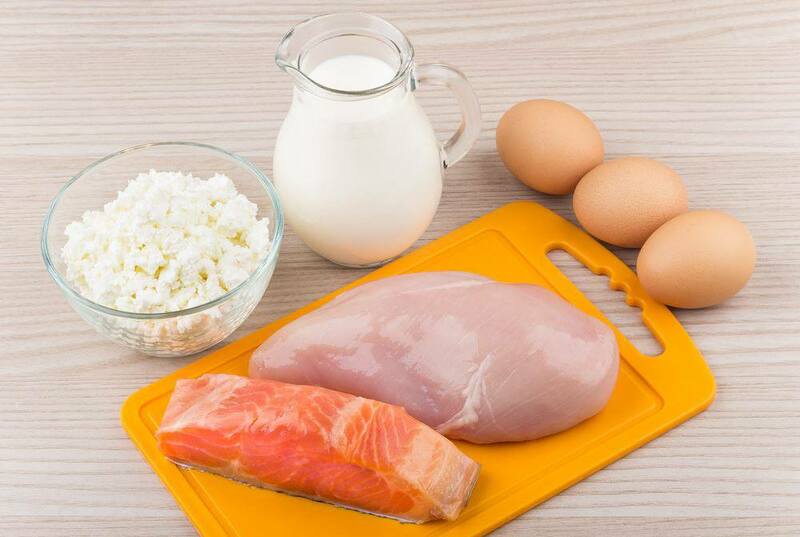 Speaking of protein, felines need their protein to come from meat sources. Since cats are obligate carnivores, they need to get their food from other animals not from vegetables or else they won’t be as healthy as you want them to be. Then there’s the issue of carbohydrates. Cats need a sufficient amount of carbs to have energy throughout the day –no carbs means no energy. However, this doesn’t mean you can go all out of feeding cats to your felines. Always think about the fat content and such since you don’t want obese cats too. Taurine is a must in any cat food, and if possible Omega-3 and Omega-6 fatty acids. These nutrients can improve your cat’s health and they are necessary to have a stronger feline. While you need to look at the essential nutritional facts first, it’s also great if you can pore over the added vitamins and minerals in the food your cats eat. Fiber is also a good addition to the cat food especially when you have a picky eater with a sensitive stomach. These little things can make a huge difference to your feline’s state of health, and could save you from seeing your beloved pet suffer all the time. Knowing the basics when it comes to choosing the food of an allergy-prone cat is great but it would be better to come up with a few suggestions. Based on the current cat food offerings in the market, here are four choices for hypoallergenic cat food. Be sure to read not just the pros but also the cons to make the best choice. Taste of the Wild is a popular cat food brand which promises to provide more than what the AAFCO requirements consider as essential. The venison and salmon formula is highly digestible, and they also come with a pleasant taste cats will crave. The main ingredients of this cat food include the chicken meal, peas, sweet potatoes, chicken fat and pea protein. As for added vitamins and minerals, Taste of the Wild contains folic acid, vitamin A supplement, vitamin B1, and vitamin E.
The guaranteed analysis for this cat food reveals that it contains 42 percent protein – this is a good number since cats require more protein in their diet to maintain a healthy body. Minimum crude fat is at 18 percent and three percent fiber. The minimum amount of taurine in this cat food is 0.15 percent, Omega-6 fatty acids at 2.8 percent and Omega-3 fatty acids at 0.3 percent. With all these combined nutrients, this cat food can do great things to improve your feline’s overall health. Healthier cat food which appeals to most felines. Improves coat health and appearance. Some cats might refuse to eat this food. There are cats who lost weight after transitioning to this food. May induce vomiting in some felines. The Limited Ingredient Diet says anything you want to know about this cat food. Ingredients are chosen while considering if it could trigger an allergic reaction or not. 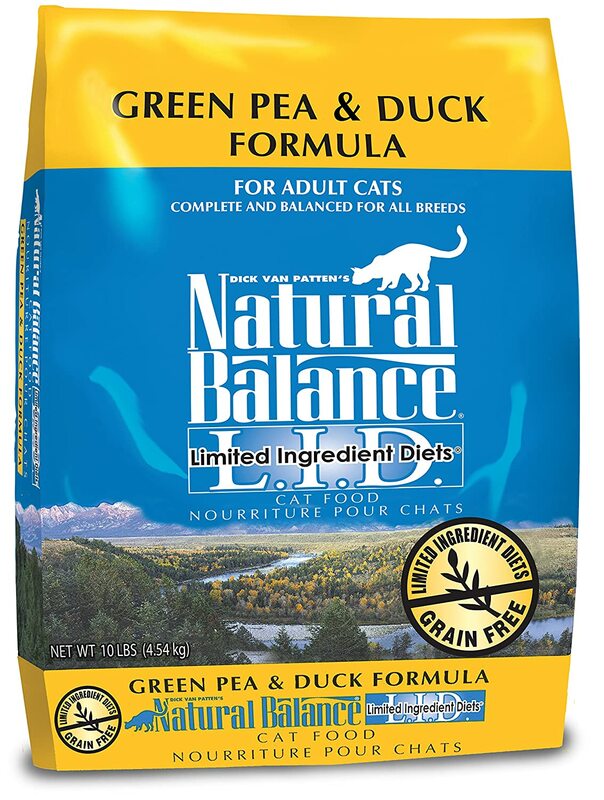 The green pea and duck limited ingredient formula from Natural Balance meets the minimum levels established by AAFCO for cat food nutrition. The main ingredients in this cat food include green peas, null duck, duck meal, pea protein, and canola oil with tocopherols. A guaranteed analysis for this product reveals it contains 30 percent crude protein, 12 percent crude fat, and four percent fiber. This cat food also contains a minimum of 0.16 percent taurine as well as Omega-3 and Omega-6 fatty acids. As this cat food promises to contain limited ingredients to prevent any allergic reactions, there are also no preservatives or artificial flavors in this pet food. The fatty acids ensure your feline is going to have a shiny and healthy coat. As for the main protein source, duck is rich in amino acids to ensure your feline remains healthy and strong. The complex carbs in green peas is also an excellent choice. 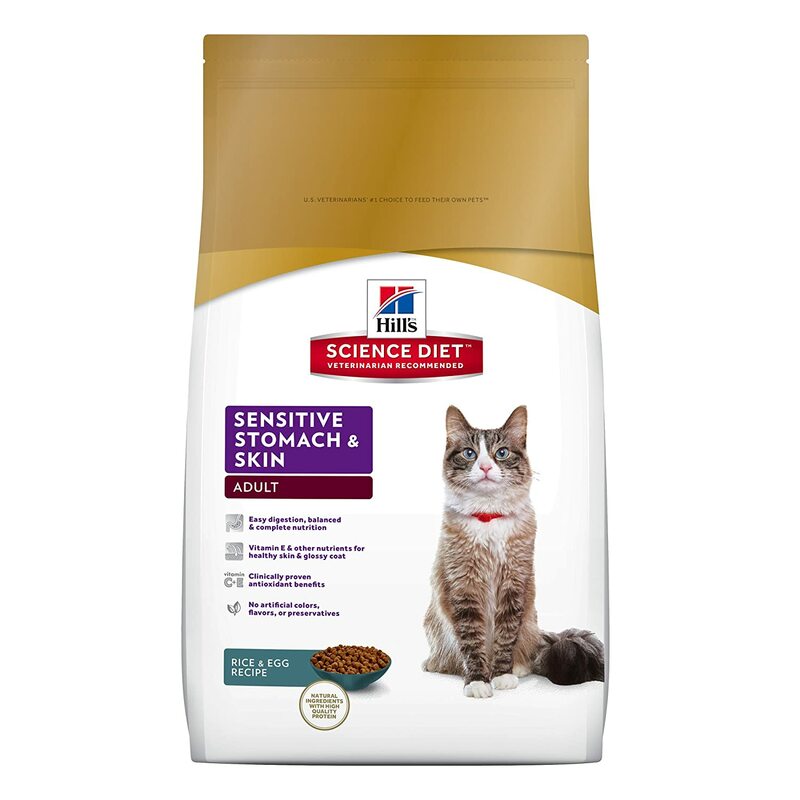 Designed for adult cats with sensitive stomach and skin, this Rice & Egg cat food formula is made in the United States, and formulated without adding any artificial flavors and preservatives. This adult formula is specifically designed for felines with sensitive stomachs, and it improves skin and coat health. 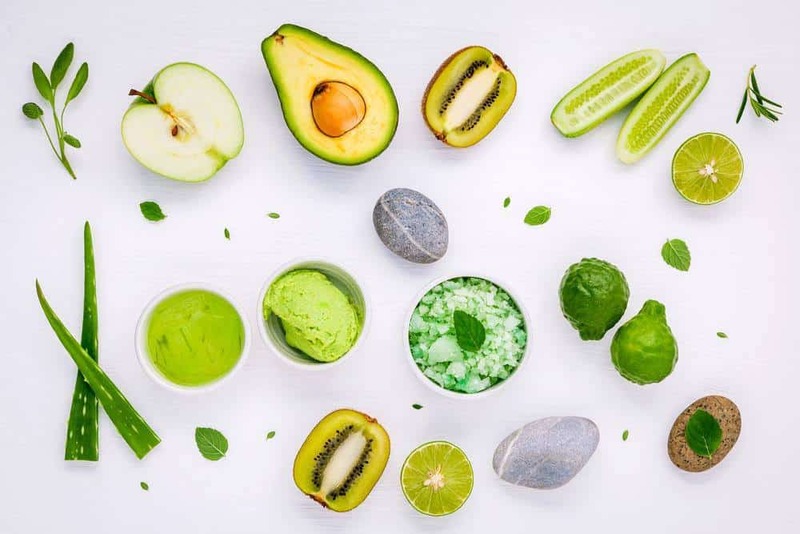 Hill’s contains antioxidants, namely, vitamins C and E as well as Omega-3 and Omega-6 fatty acids which promote a healthy body and a beautiful coat. The main ingredient of this cat food includes brewers rice, corn gluten meal, pork fat, pork meat, and egg product. All the ingredients in this cat food are easy to digest which is why it is perfect for felines with sensitive tummies. The guaranteed analysis reveals this cat food contains 34.5 percent protein, 22 percent fat, and 1.2 percent fiber. Among the noteworthy nutrients in this cat food includes taurine, potassium, calcium, sodium, and magnesium. The average nutritional content in Hill’s exceeds the AAFCO standard for pet nutrition which says a lot about the benefits of this cat food. This cat food is clinically proven to have antioxidant benefits. Pet food has a delicious taste which appeals to most cats. Cleared up allergies in many felines. Cannot be given to kittens and pregnant felines. Some cats may have allergic reaction to certain ingredients in this cat food. A bit more expensive than regular brands. 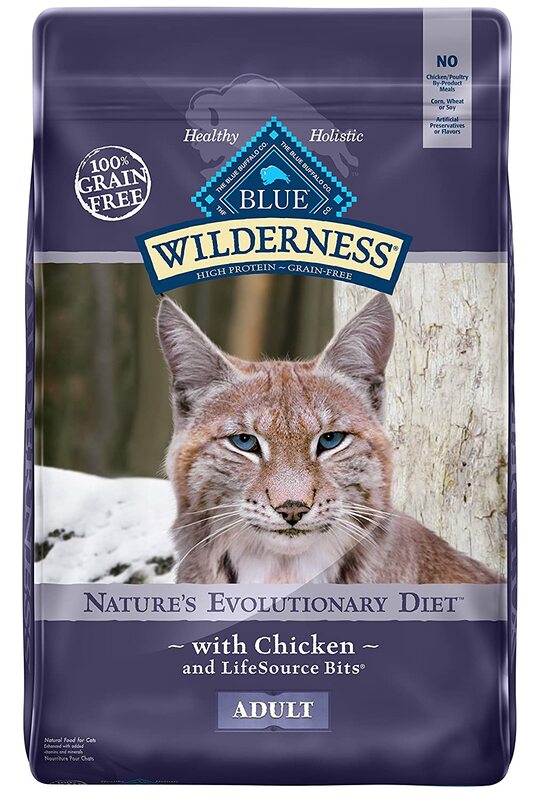 Blue Wilderness with Life Source Bits is deemed to be a superior source of nutrition for felines. This dry cat food meets the minimum nutritional requirements by the AAFCO. This cat food is inspired by the diet maintained by the lynx – this is the same kind of nutrition wild animals have although all the goodness is formulated in a conveniently packaged cat food. Manufacturers claim this is a good alternative to a raw food diet, and the Life Source Bits provides the minerals and vitamins your cat needs to stay healthy and strong. Blueberries, cranberries and carrots make this cat food a healthier choice for pet parents. Ingredients in this cat food include deboned chicken, chicken meal, turkey meal, potato starch, and fish meal. There’s a lot of chicken in this cat food which is one thing felines will certainly adore. Resolved allergies in many cats. Contains high amounts of protein. There are felines who won’t touch the food. Caused urinary problems in some felines who switched to this cat food. Not all cats will touch this food. 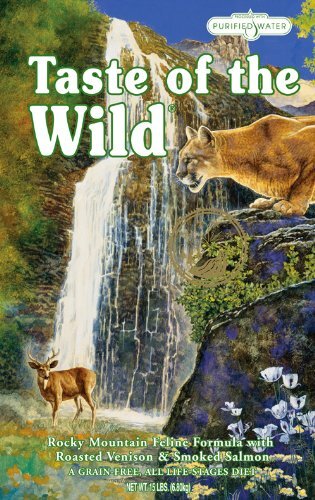 Based on a closer look at the ingredients and the customer feedback, Taste of the Wild Venison and Salmon comes highly recommended. There are a lot of reviews for this brand, and most of them were glowing with happiness. Cat owners who switched to this brand noticed big changes in the appearance of their feline’s coat and overall health. Remember not all cats will take to this cat food; some would fare better with other flavors. In some cases, there are also cats that are allergic to some ingredients. Always remember to give your cats sufficient access to water regularly when you are feeding dry cat food. This helps prevent your cats from suffering from urinary tract infection. 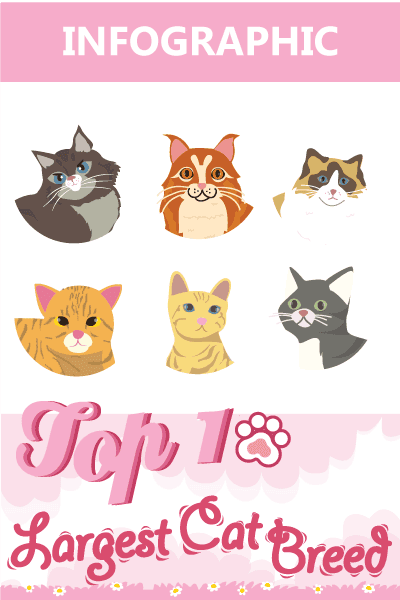 Hopefully, this guide to the best hypoallergenic cat food helps you find the best choice.